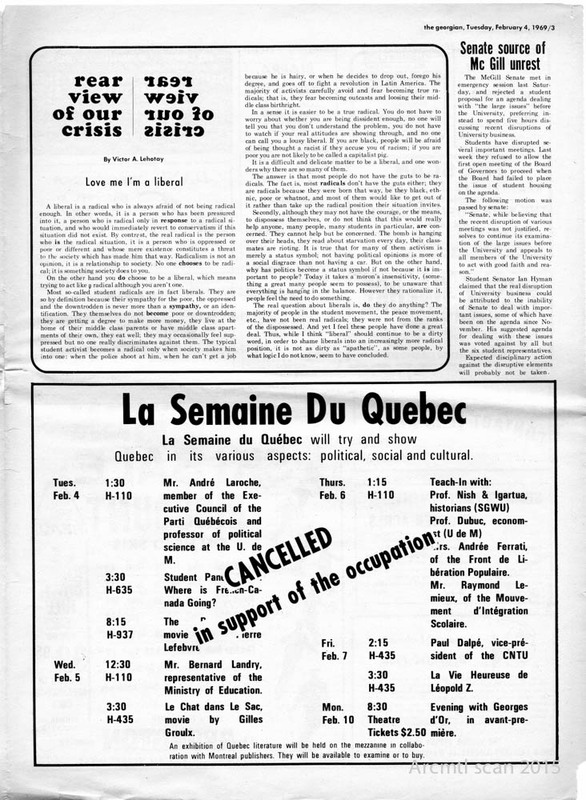 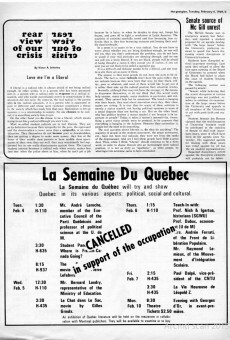 On the occasion of the theatrical run of a new NFB documentary film, Ninth Floor , Archive Montreal digitized a number of student newspapers from its archives published during the infamous Computer Riots (otherwise widely known in its era as the Sir George Williams Affair), which played out in January and February 1969 at what is now the Hall Building of Concordia University in downtown Montreal. 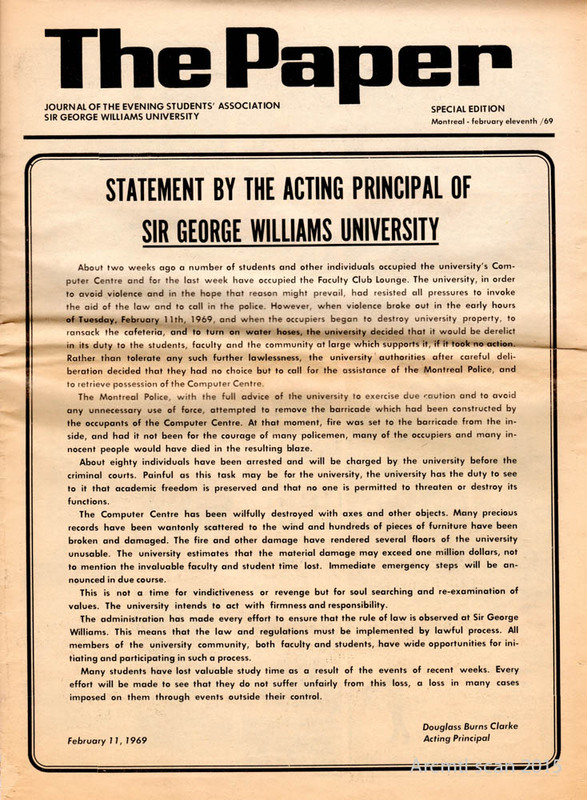 Montreal Underground Origins interviewed a number of people who were enrolled at Sir George Williams University during the crisis. 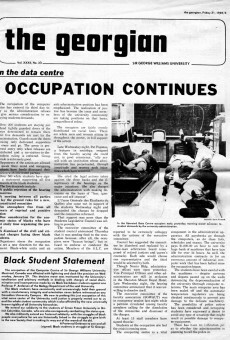 The people we spoke to were all sympathetic to the protesters and occupiers who decried the systemic racism present among some faculty members which the crisis exposed. 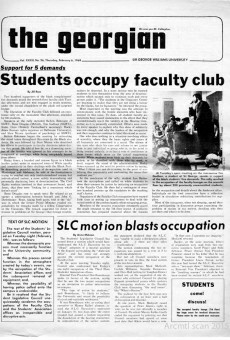 It is perhaps not so surprising that we did NOT encounter anyone who took the side of the University AGAINST the protesters. 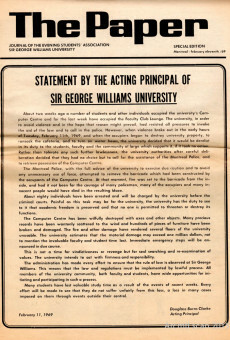 After all, who would possibly admit in this day and age to having chanted “Let the niggers burn!” as protesters against the occupation were infamously reported to have chanted when the fires broke out in the occupied computer centre. 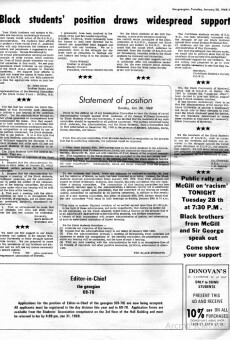 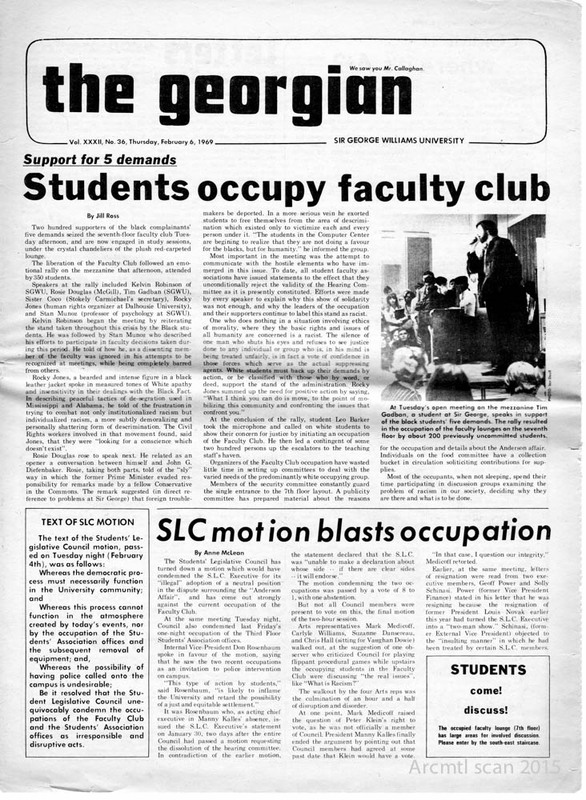 But back while the crisis was unfolding, the division among the student body was much more overt, as evidenced by the difference in tone between the Georgian and the Paper student newspapers. 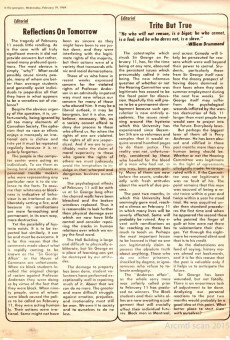 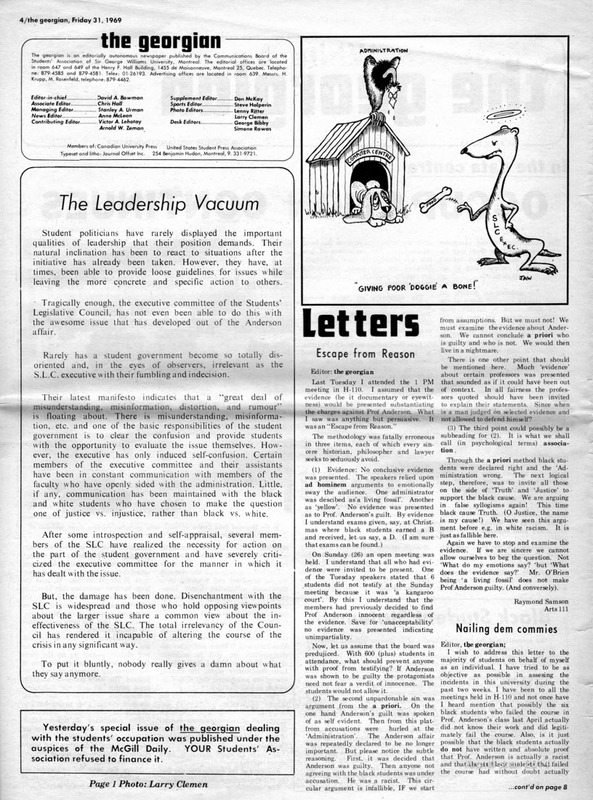 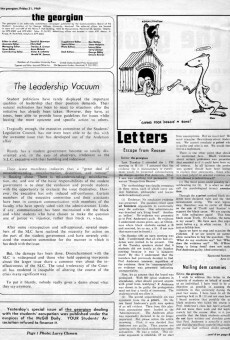 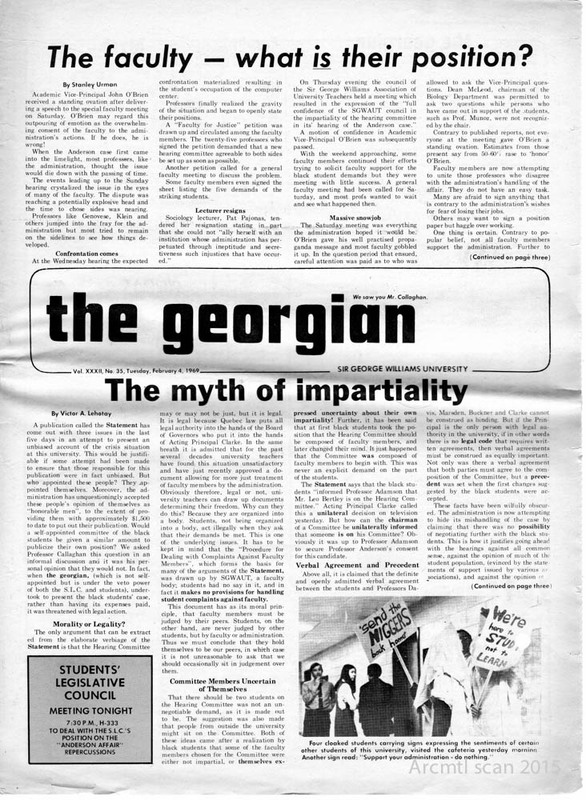 ou can read for yourself in the PDF versions of selected issues of the Georgian here: Georgian Jan 21 1969 , Georgian Jan 28 1969 , Georgian Jan 31 1969 , Georgian Feb 4 1969 and Georgian Feb 19 1969. 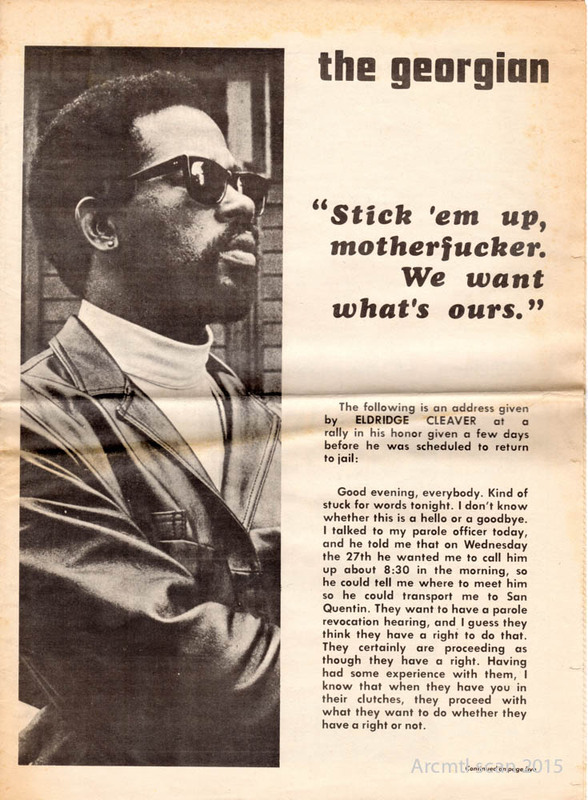 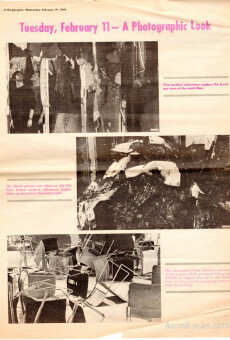 Below is a gallery of selected pages from these issues. 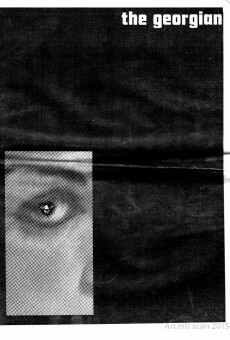 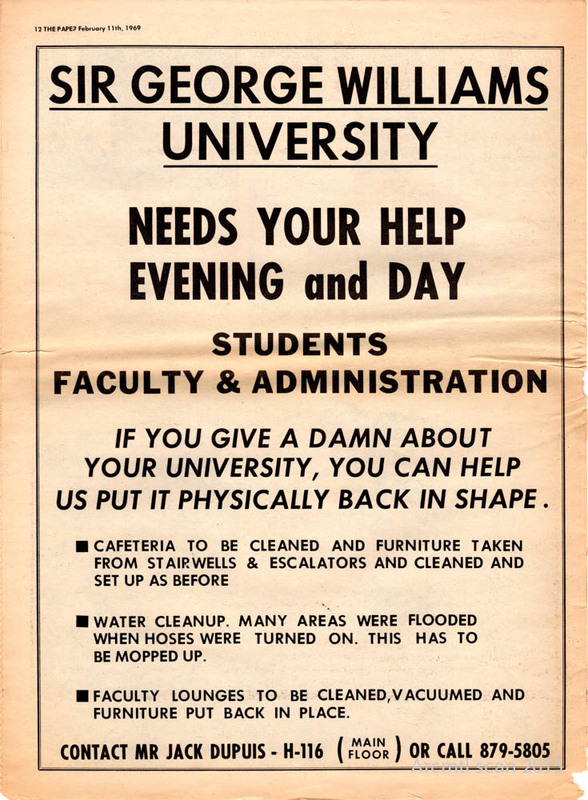 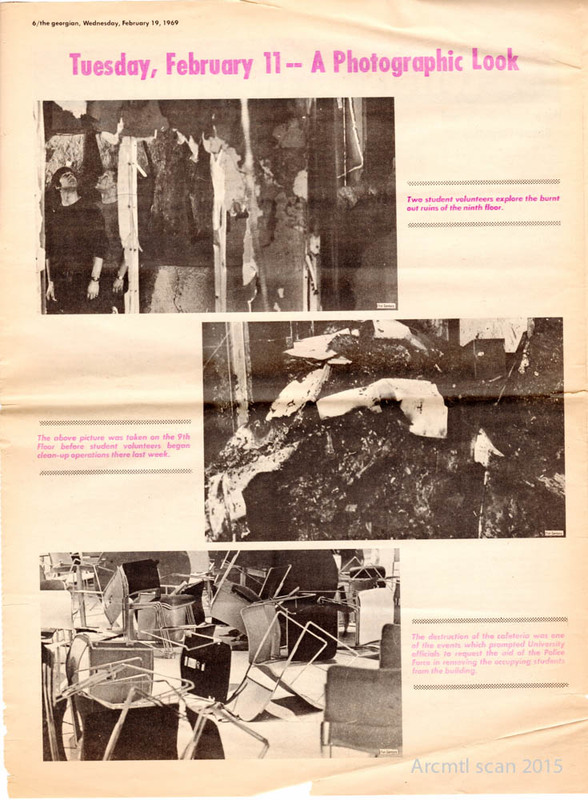 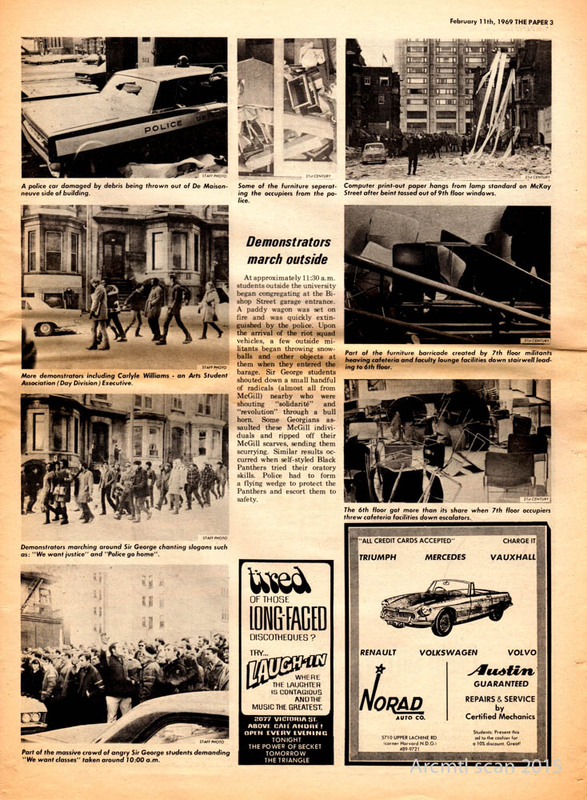 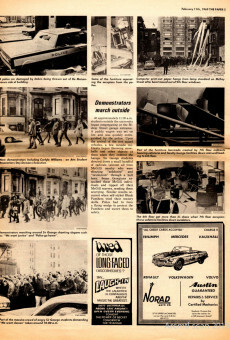 A gallery of images extracted from these student newspapers of the aftermath of the riots themselves is posted here. 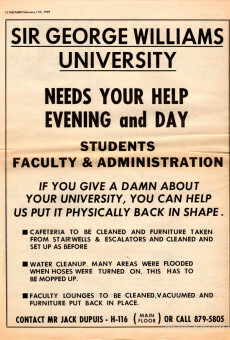 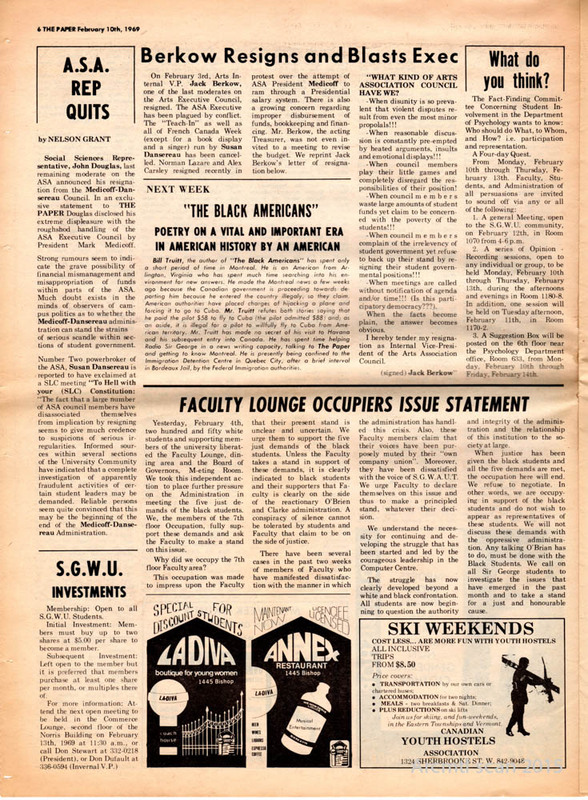 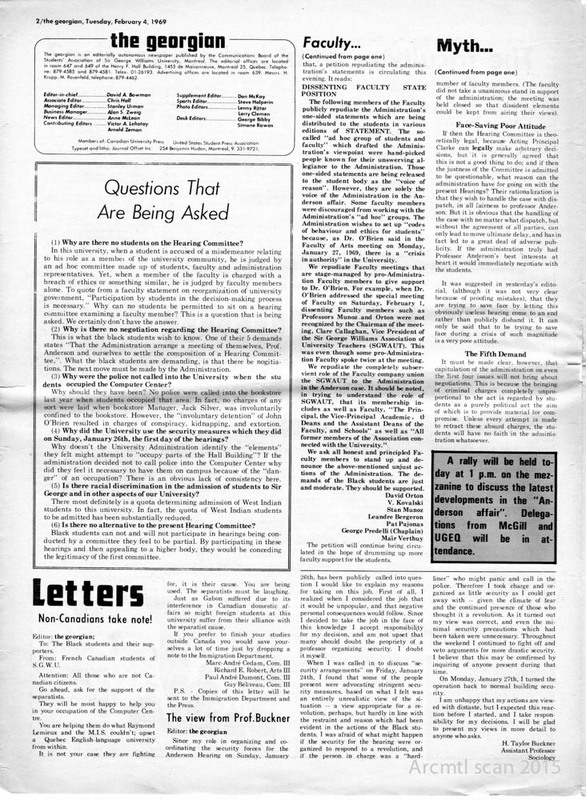 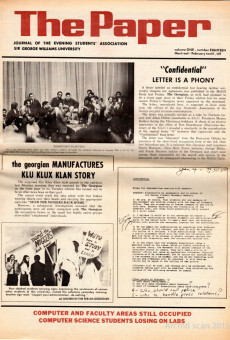 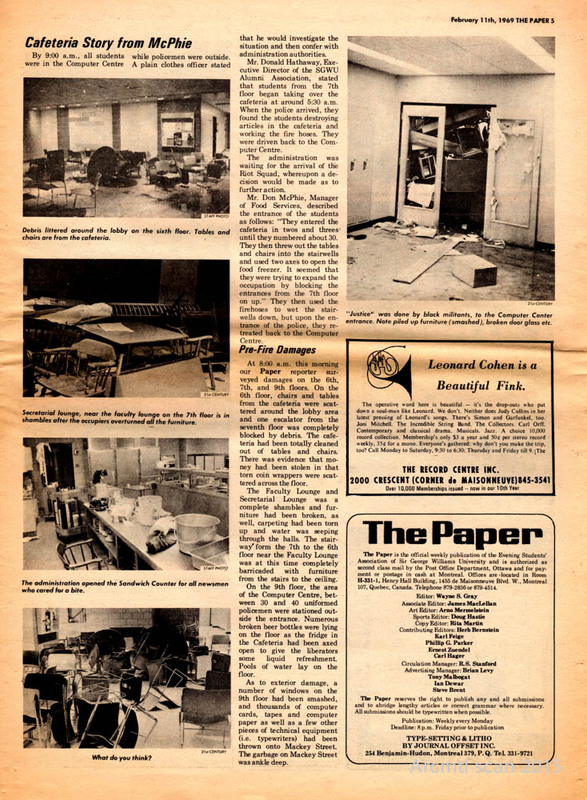 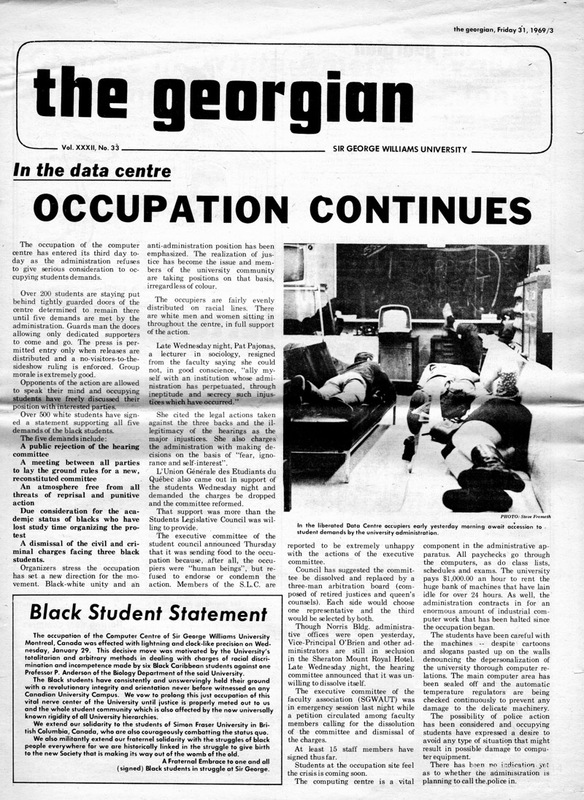 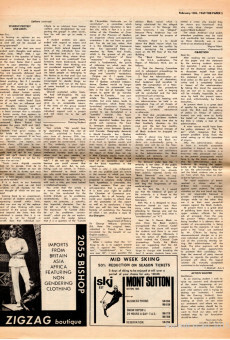 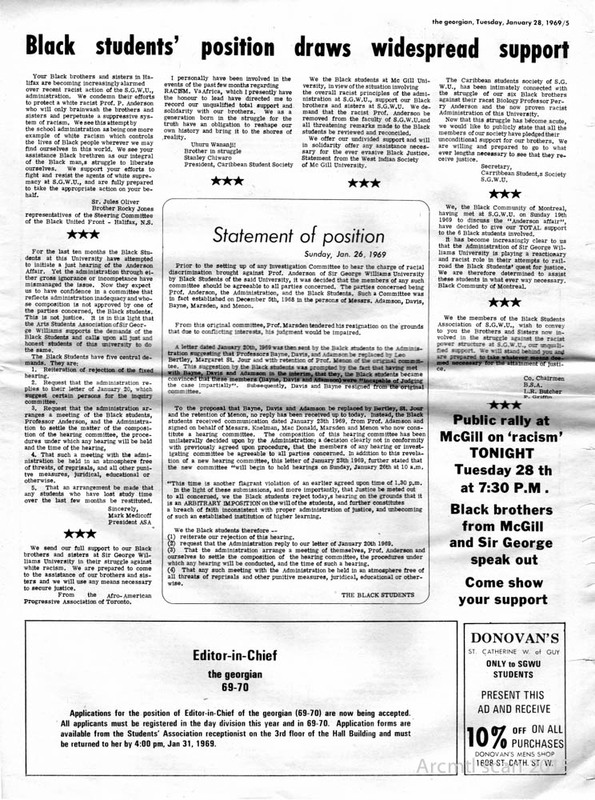 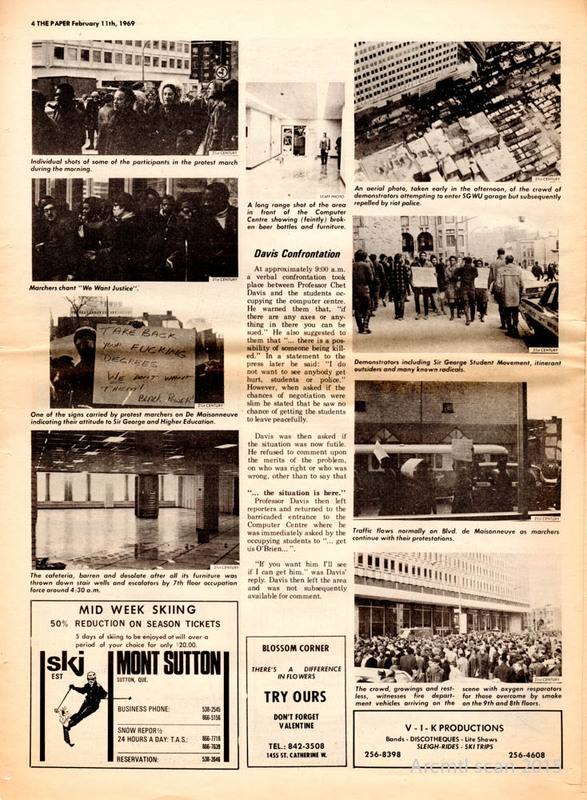 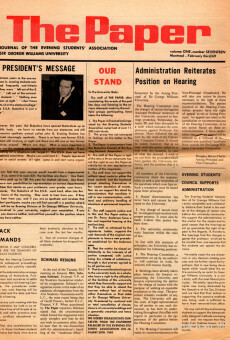 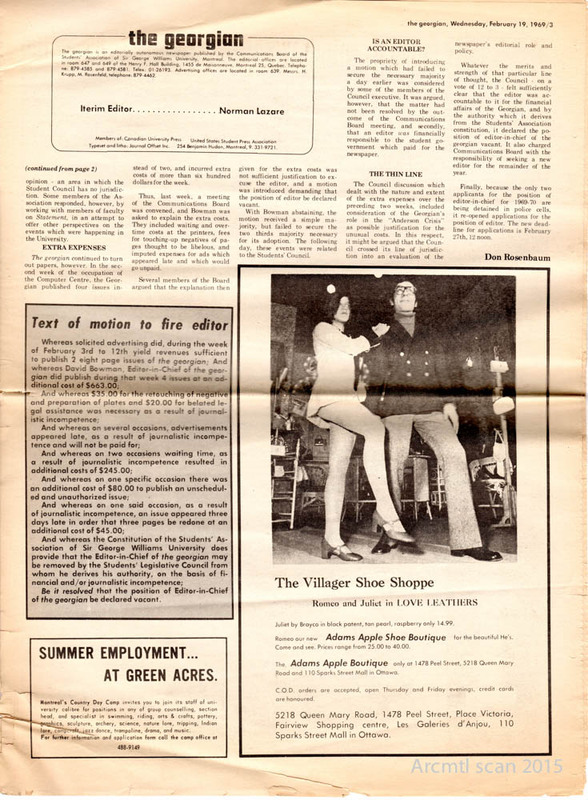 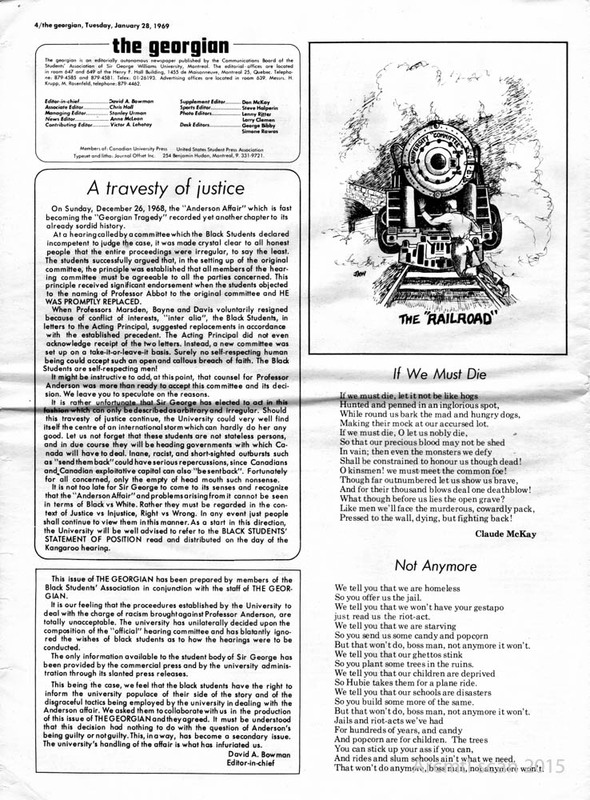 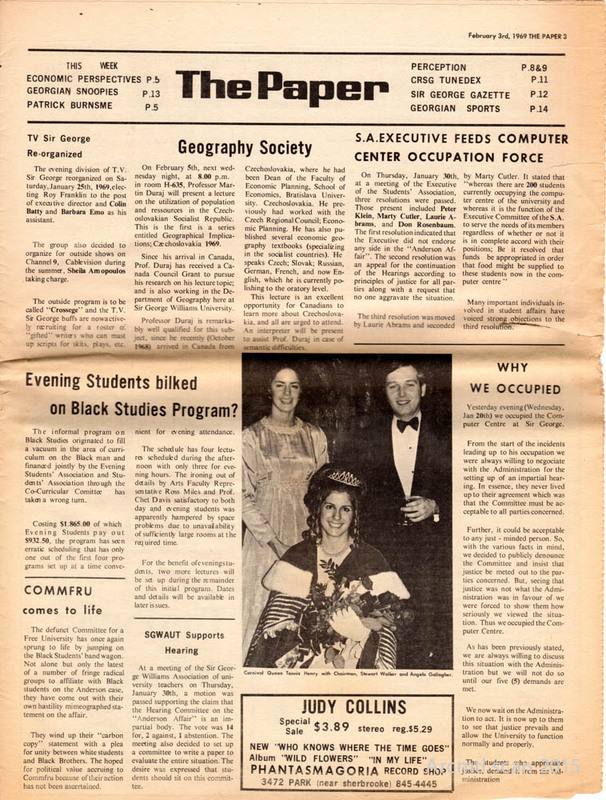 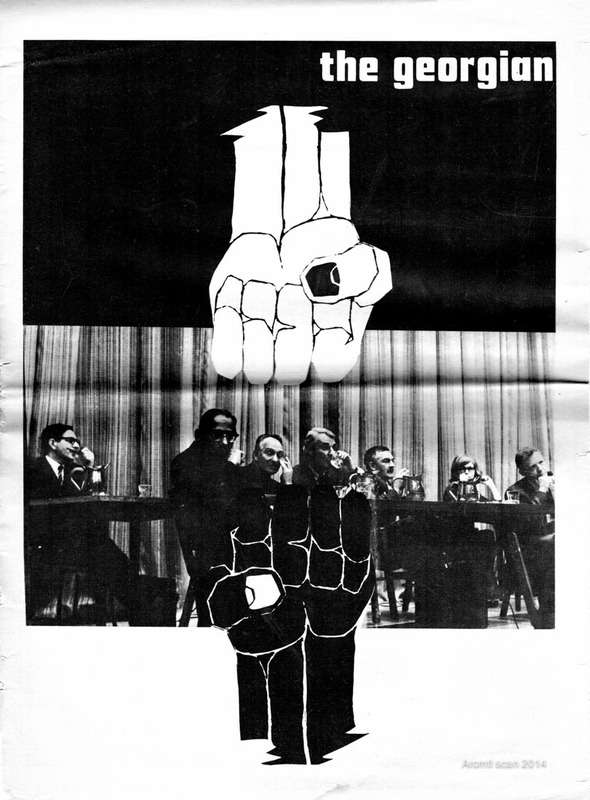 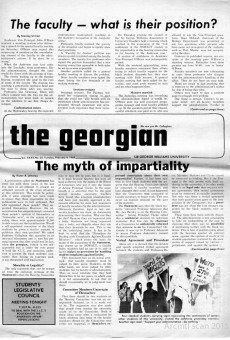 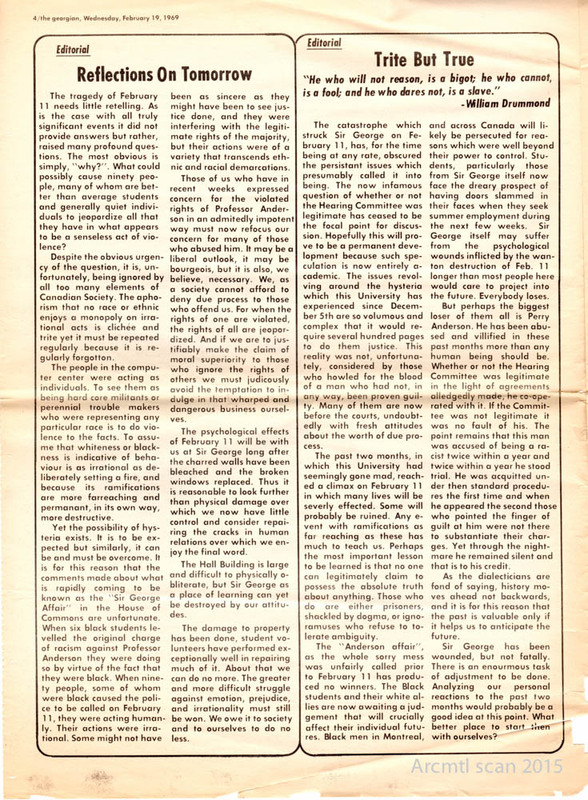 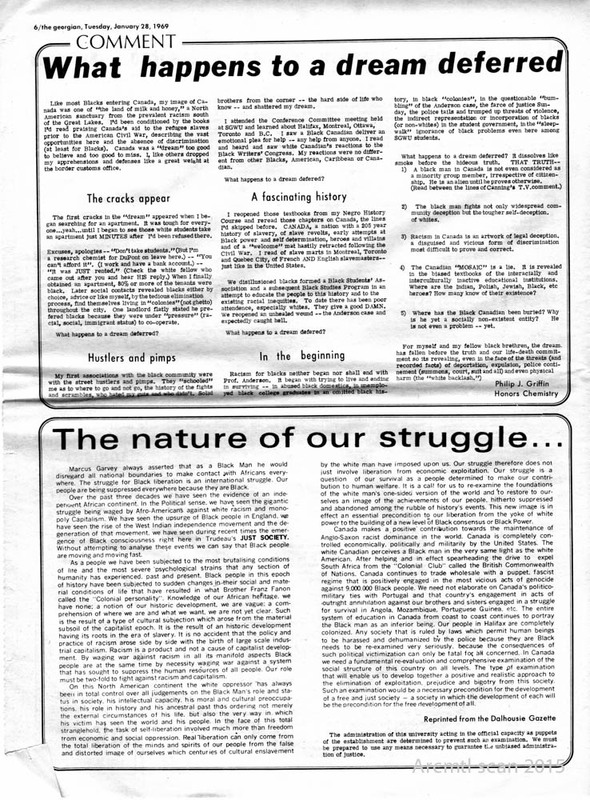 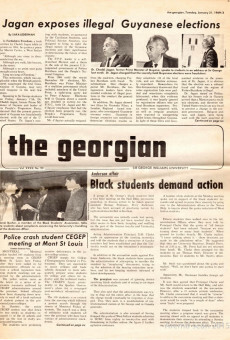 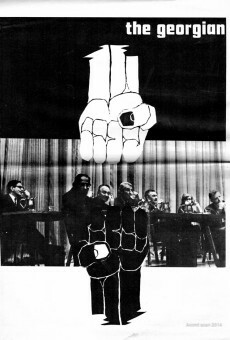 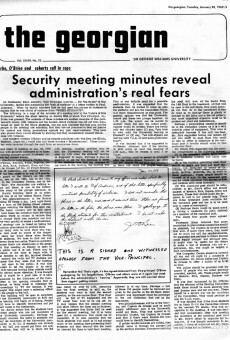 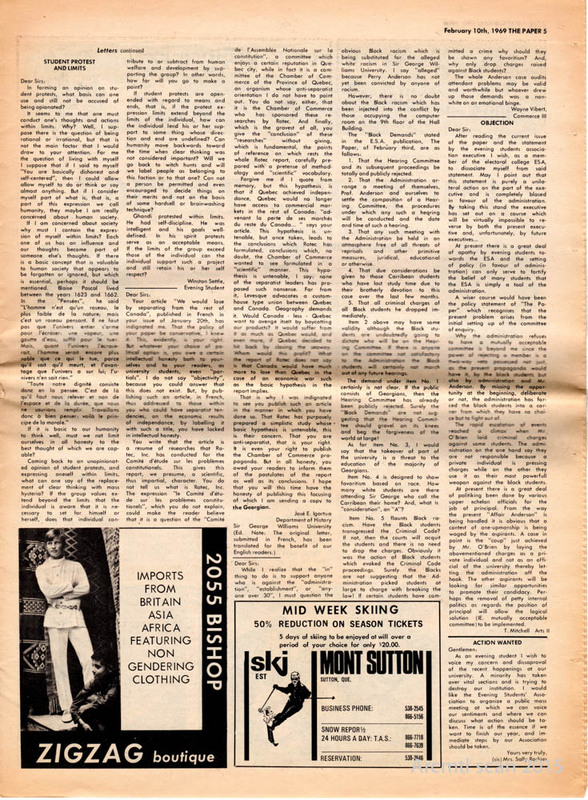 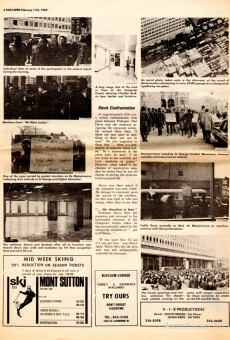 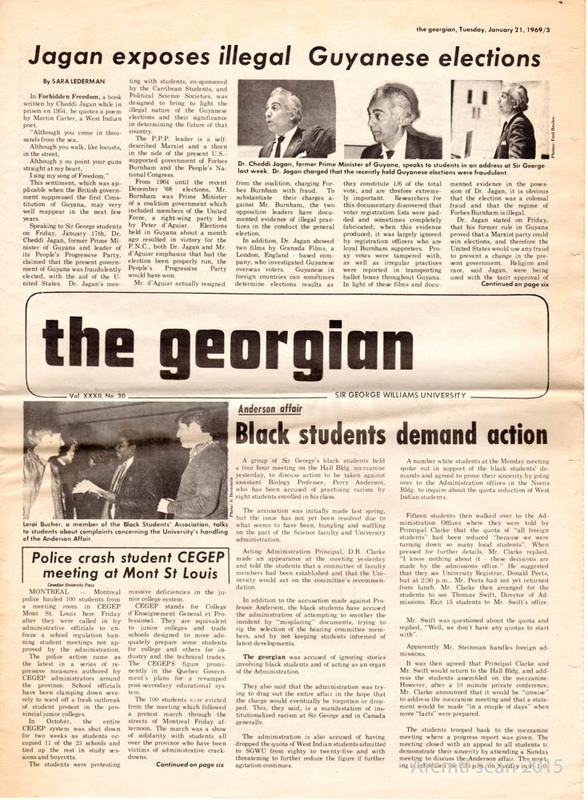 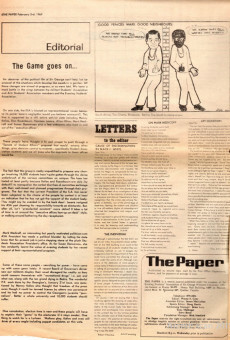 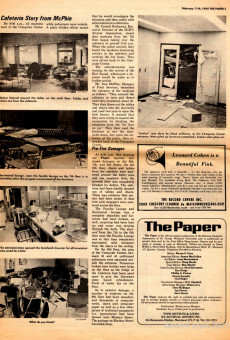 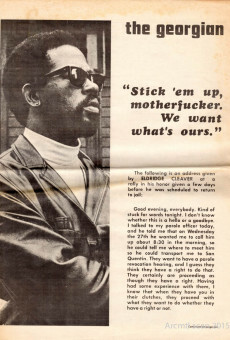 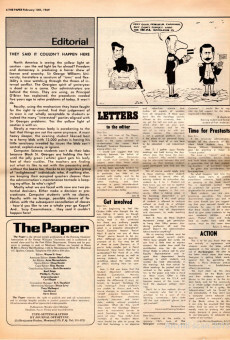 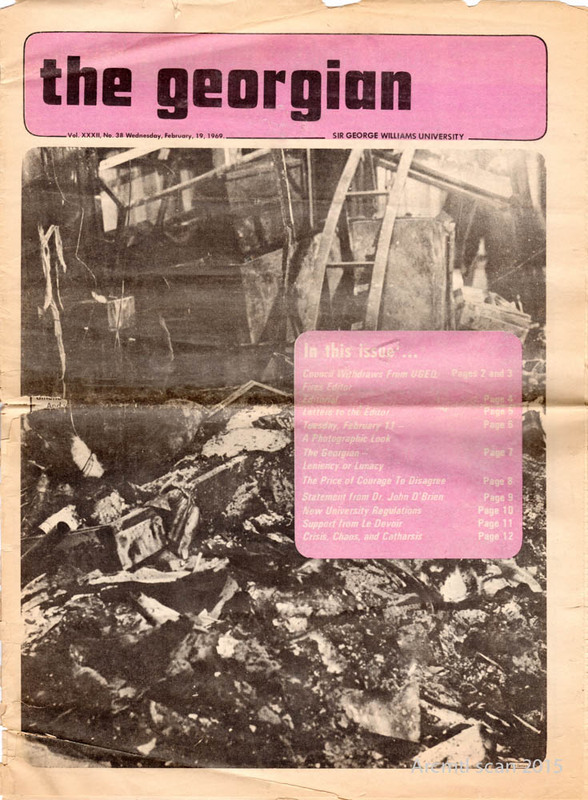 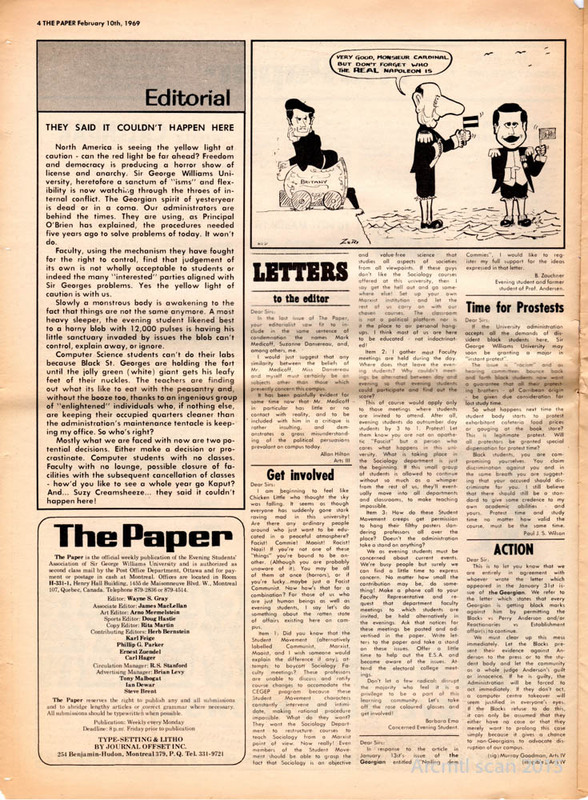 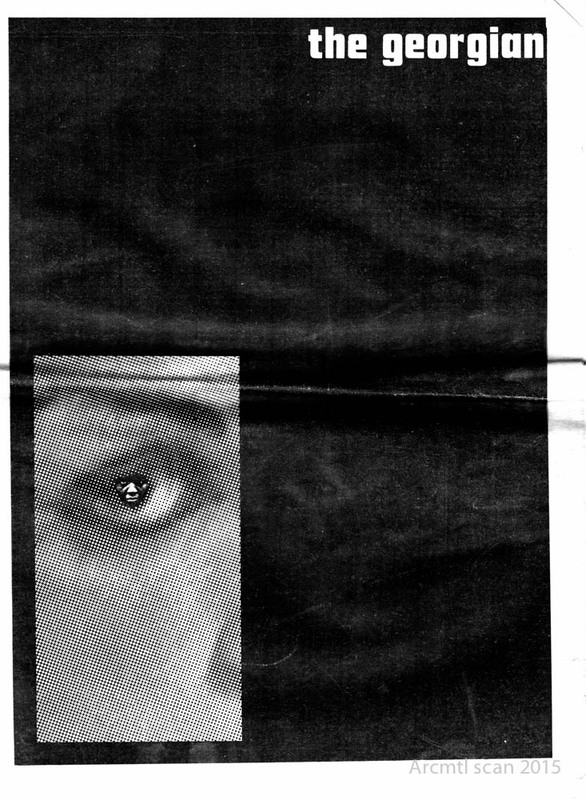 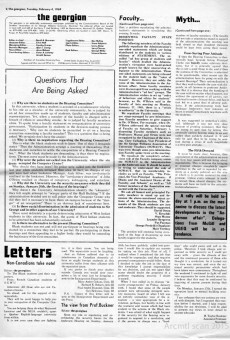 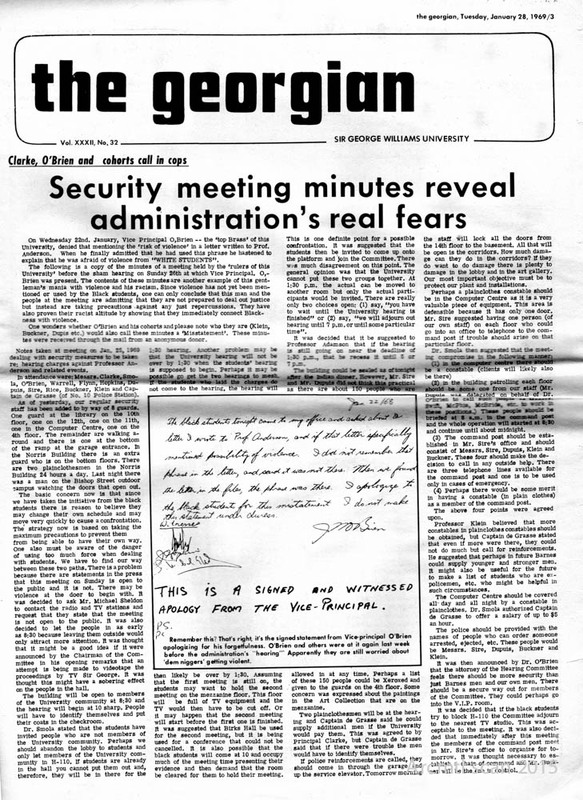 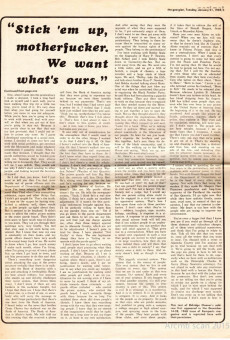 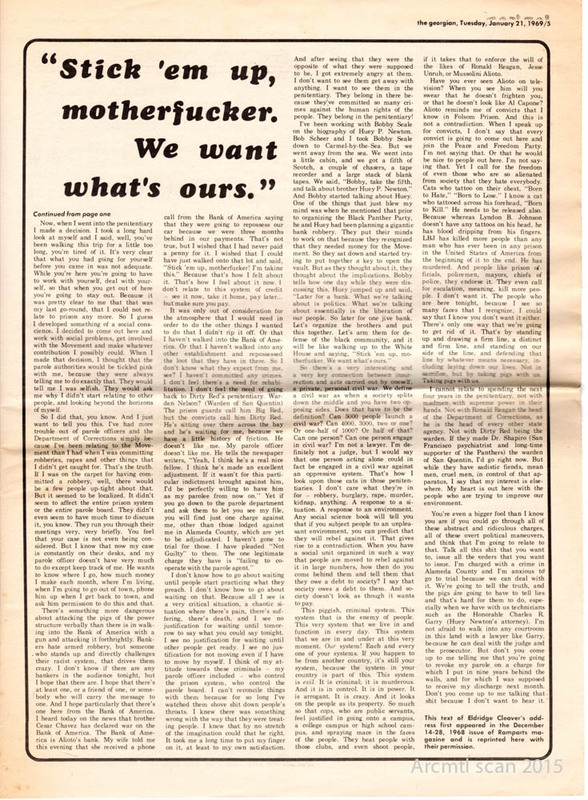 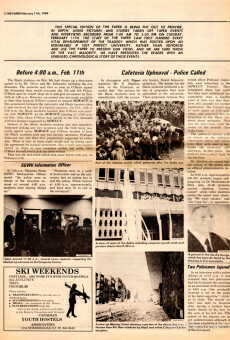 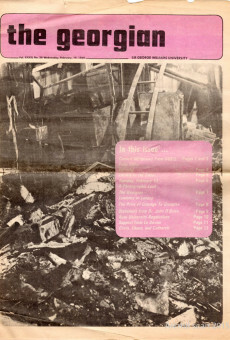 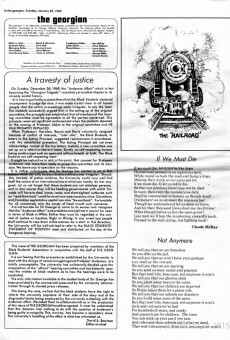 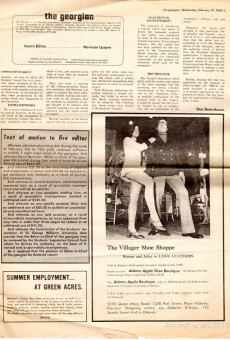 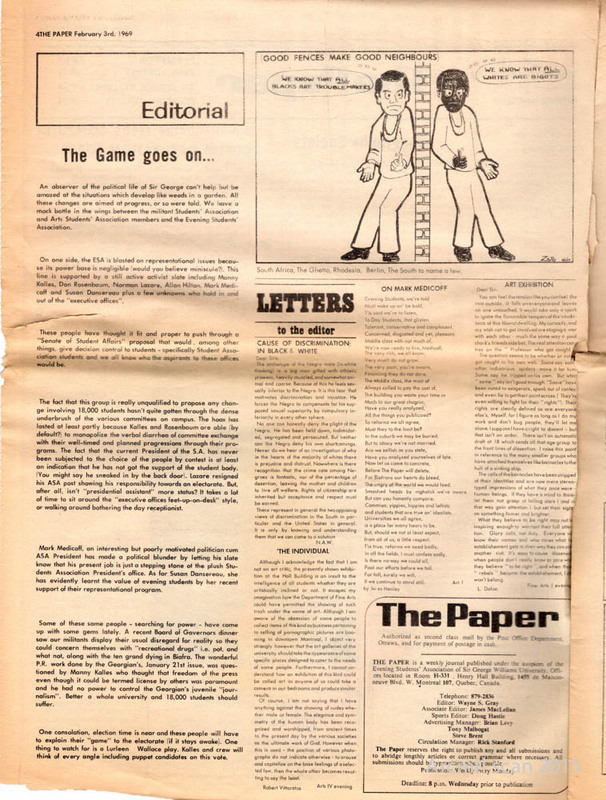 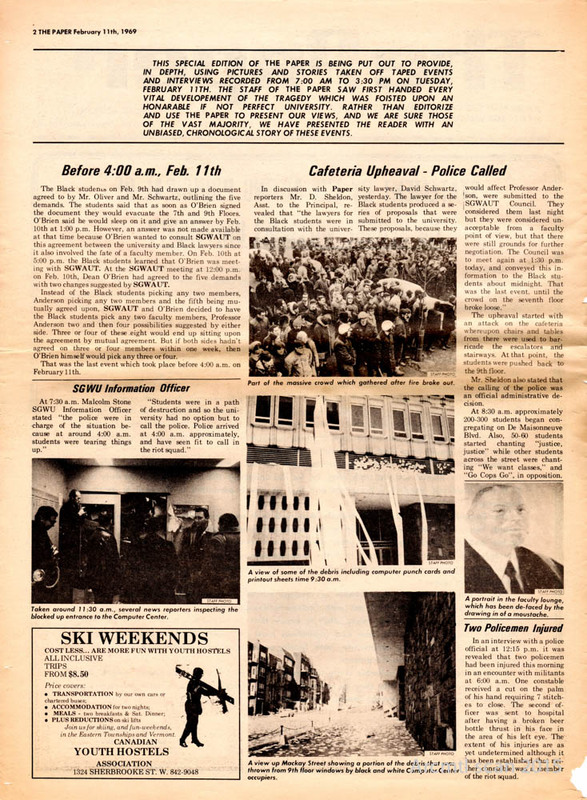 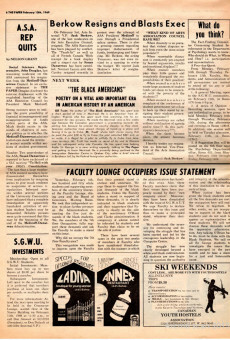 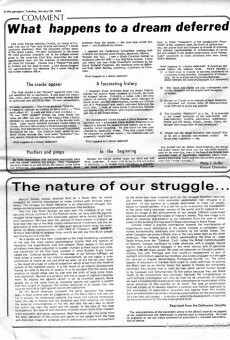 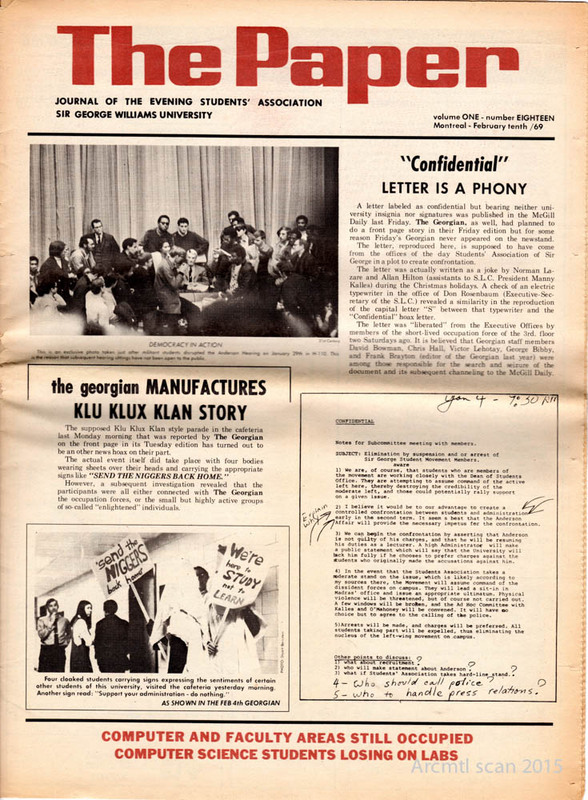 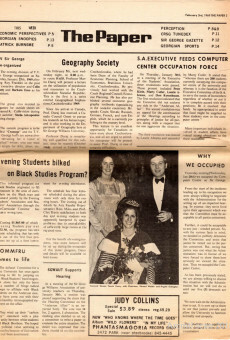 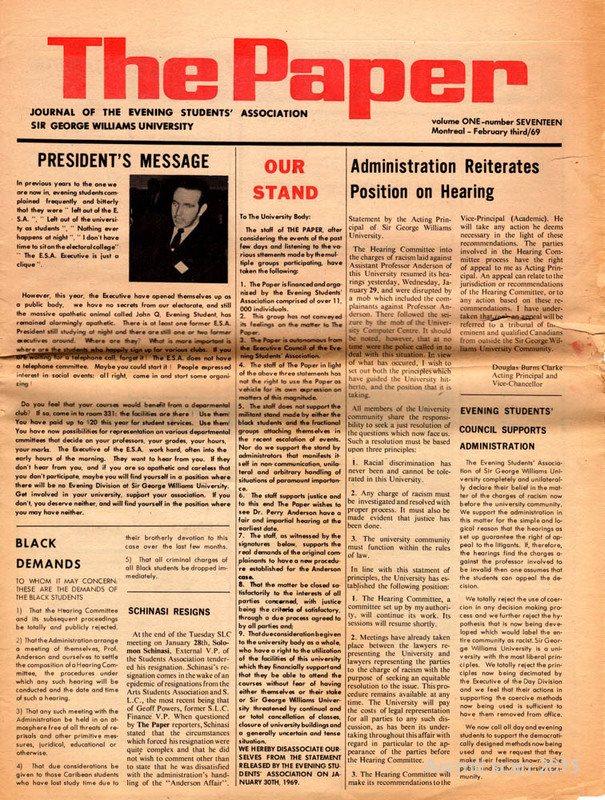 The first issue of the Georgian student newspaper following the Computer Riots.